Michael Gilfix is a nationally known authority in the field of law, aging and estate planning. A 1973 graduate of Stanford Law School, he is a Fellow of the National Academy of Elder Law Attorneys (NAELA), a co-founder of NAELA, and a Certified Legal Specialist in Estate Planning, Trust and Probate Law. Mr. Gilfix regularly addresses professional audiences, including attorneys, physicians, certified public accountants, and financial planners, nationally as well as locally. An entrepreneur in the legal field, Mr. Gilfix created the first legal aid program for elders in 1973. He served as Executive Director of that program, Senior Adults Legal Assistance (SALA) of Santa Clara County, for ten years. In 1983 he created the law firm that is today known as Gilfix & La Poll Associates LLP . Mr. Gilfix has been a principal speaker for numerous trust and tax symposia at the national level, including the Center for Judicial Education, the American Institute of Certified Public Accountants (AICPA) the New York University Tax Institute, and the National Academy of Elder Law Attorneys (NAELA). Mr. Gilfix is a California legal advisor to Partnership For Caring, the national organization devoted to rights of individuals to make their own health care decisions. A highly respected practitioner and a prolific author, Mr. Gilfix is co-author of Tax, Estate & Financial Planning for the Elderly: Forms and Practice (Matthew Bender) and is the principal author of Medi-Cal and Asset Preservation, a book- length set of materials for practicing attorneys. He regularly contributes to a wide variety of legal journals such as Trusts and Estates Magazine, where his writings have discussed the role of personal values in estate planning, life care communities, and asset preservation planning. 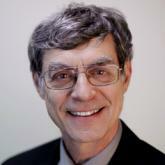 Mr. Gilfix appears regularly on KGO's "LawTalk" with host Len Tillem. Michael Gilfix and Len Tillem team up to present lively and informative seminars at many Bay Area locations. Mr. Gilfix holds an AV rating from Martindale-Hubbell, as judged by his peers in the legal profession. This rating, the highest given "... reflects an attorney who has reached the heights of professional excellence, ... has practiced law for many years, and is recognized for the highest levels of skill and integrity." Michael Gilfix has 30 years experience in addressing the legal needs of elders, disabled persons, and their families. This is invaluable to our clients and, as the saying goes, "We've seen it all". We are devoted to the preservation of family assets and to the dignity and well-being of our clients and community. We promise to be your family lawyer and address your legal planning needs. At Gilfix & La Poll Associates LLP, we promise to be your "Lawyer for Life".